This 18 qt. 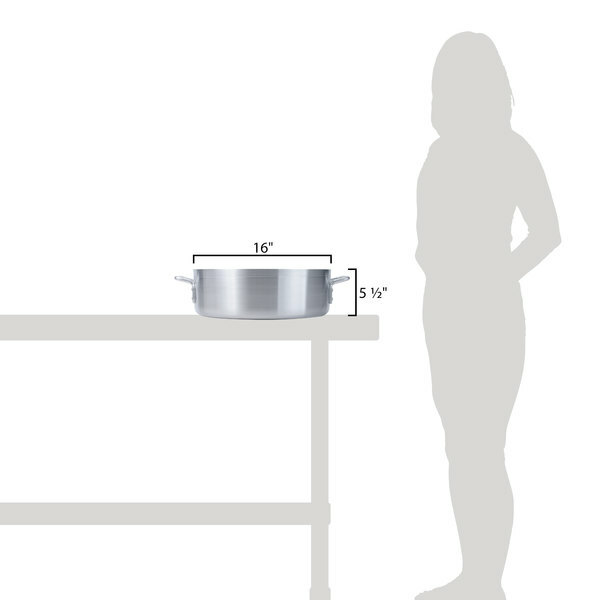 standard weight brazier is made of 8 gauge 3003 aluminum. 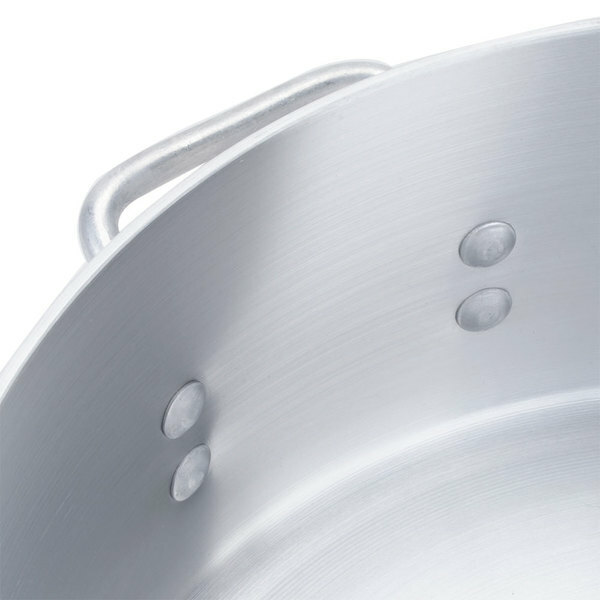 It's great for browning meat and vegetables, as well as simmering over low heat with small amounts of liquid. This 18 qt. 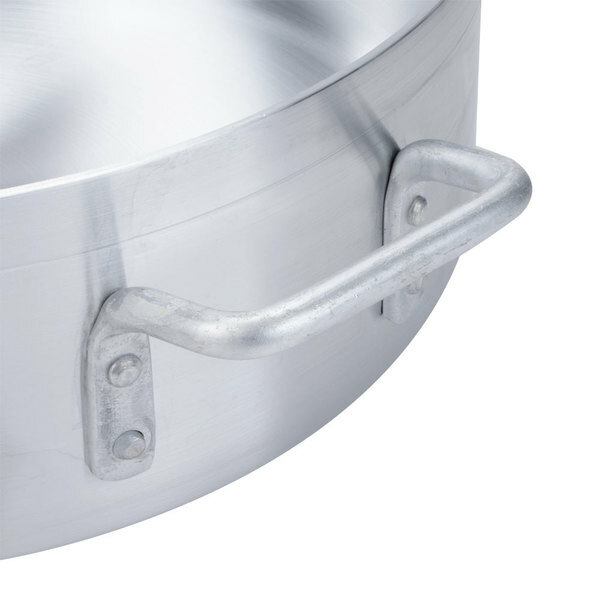 brazier features sturdy, riveted side-loop handles for a secure grip, and since they're riveted on, they ensure a very rigid connection between handle and vessel, guaranteeing longevity even in a commercial kitchen. Really great brazier - we are so happy to have purchased this. 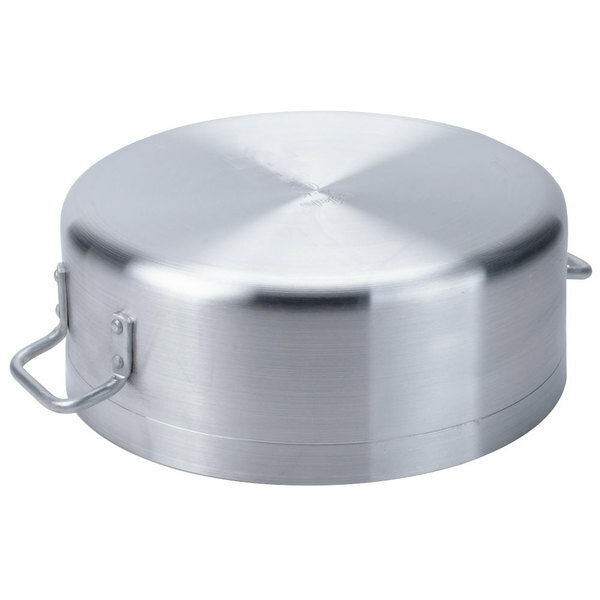 It is made of very heavy duty aluminum, and browns meat evenly. Highly recommended! The 18 Qt. 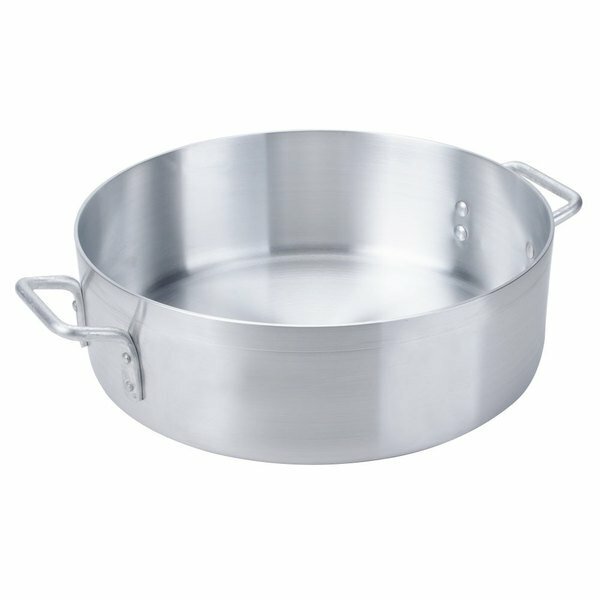 Standard Weight Aluminum Brazier is an excellent quality Pan. It is very sturdy and it is versatile. This is great for everyday use at a commercial restaurant. 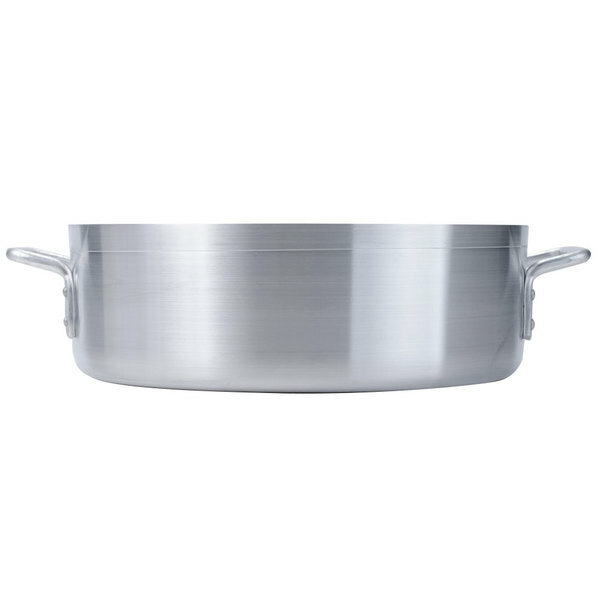 This pot is very big, which is a good thing if you need a large cooking capacity. On a gas range their will be carbon build up, but cleaning makes it manageable. I am happy with how these have stood up over time. Very useful for big quantity of food, material is very good because the food never stick on the bottom, very easy to clean it. Shipping was fast ! Even though this brazier is considered standard weight, it is still somewhat heavy and quality made. It has many different uses and very easy to clean after use. I would recommend! 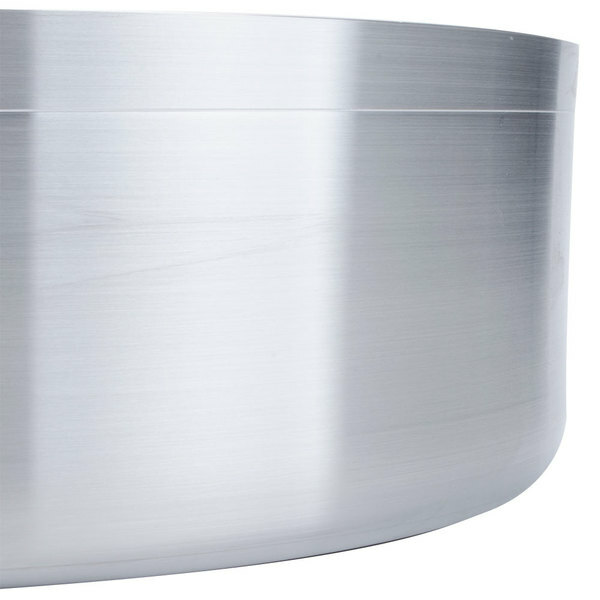 This 18 quart standard weight aluminum brazier is a very great and sturdy piece of kitchen equipment. I can tell that it will last a long time!